OnePlus has done a pretty good job at producing ‘flagship killer’ smartphones at competitive prices. Following the success of last year’s OnePlus 3 and OnePlus 3T many are now waiting for the OnePlus 5 that’s expected to release this year. Today we’re sharing a OnePlus 5 Edge concept that’s inspired by leaked specs. 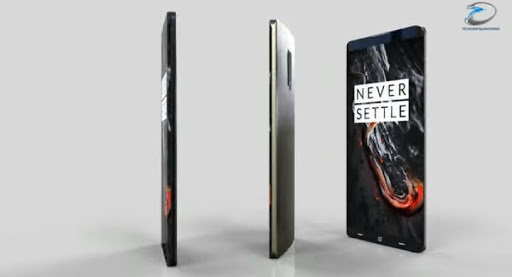 There have been numerous leaks and rumors about the upcoming OnePlus flagship. It’s thought that it will be dubbed the OnePlus 5, missing out on a OnePlus 4 because in China that number is associated with bad luck. Previous rumors have suggested that the OnePlus 5 will have a ceramic casing while more recently a dual edge display has been tipped. The phone will release running Android Nougat out of the box and we hope to see an unveiling in the coming months. Concept designers often produce some great ideas for upcoming flagship smartphones that tease us with possibilities. 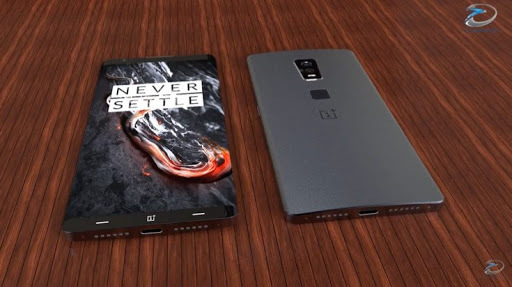 Today’s OnePlus 5 Edge render comes from TechConfigurations and this 3D render for the OnePlus 5 Edge was based on some of the latest leaks and finished with a touch of imagination. It’s a beautifully sleek-looking handset with a metal and glass build. It also includes the rumored dual edged display, hence the name. The phone has stereo speakers on the bottom edge and looking at the front we can see a themed home button with the OnePlus logo. The camera bump on the back of the handset is ultra thin. Specifications included with this OnePlus 5 concept include a Snapdragon 835 processor and 5.5-inch AMOLED display with QHD resolution. It comes in 6GB and 8GB RAM options as well as 64GB or 128GB of internal storage. The phone has a 23-megapixel rear camera with OIS and EIS, phase detection autofocus, dual LED dual tone flash, and 4K video capture. The front-facing camera has a 12-megapixel sensor and ultra wide-angle lens. Also included is a 4100 mAh battery, ultra fast fingerprint scanner, and USB Type C. The phone has dust and water-resistance to IP68 certification standard. 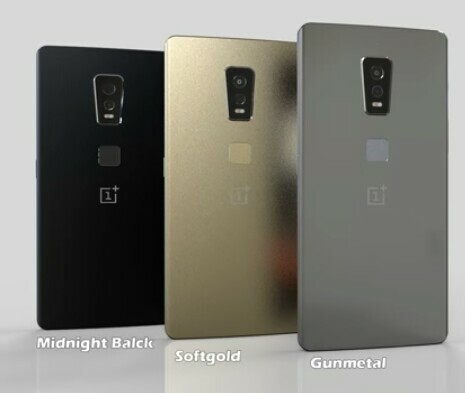 It’s shown in three colors, Midnight Black, Softgold, and Gunmetal. We’ve included a few images here but remember to view the video below for a full look at this OnePlus 5 design, specs, and features. We’re keen to know what you think of this OnePlus 5 Edge concept idea? Would you like the real OnePlus 5 design to resemble this one?